Research shows glucose feeds and even causes cancer cells - can you do something about this? Be Clear: 1. Scientists have actually shown in the Journal of Clinical Investigation January 2014 sugar can cause cancer via not one, but two biochemical pathways (Research in Cancer Watch). 2. People with cancer, who also have the highest blood levels of glucose, survive least. Be Clear: 3. 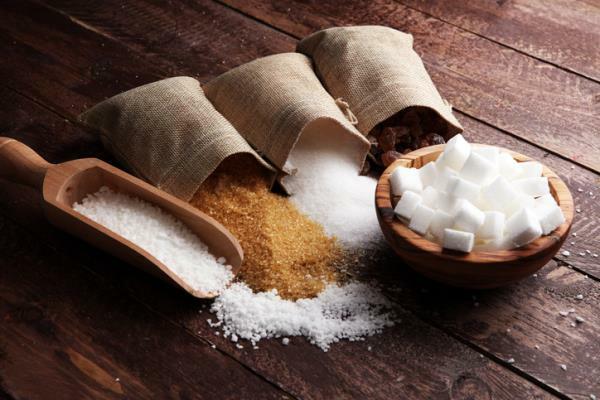 Johns Hopkins scientists have shown starving patients of sugar is crucial in colorectal cancer. No wonder, the latest recommendations for diets for people having chemotherapy from Memorial Sloan-Kettering and MD Anderson in the USA are to eat healthily, and not pile into rubbish foods with empty calories. Just as we have told you for eight years now. The breakdown of glucose to provide energy is called glycolysis. In a healthy cell, glucose is converted in the cellular cytoplasm in a multi-step process to pyruvate, which passes into the mitochondria (or power stations) to be burned in another multi-step process in the presence of oxygen. This process involves electron transfer in the mitochondrial membrane. Healthy cells can use other forms of food like fats, as precursors. Cancer cells cannot. They can only derive energy from glycolysis and fermentation in the cytoplasm. The mitochondria have been knocked out of the process. A further complication is that under normal circumstances, the mitochondria regulate the cell - if something is flawed in the cell, the mitochondria can cause cell death. This mechanism is also lost in cancer. Even if oxygen is restored to the cells, there is little evidence that mitochondria can switch back on again. Cancer cells need glucose. In fact they can make it themselves. Not enough to grow, but enough to survive. They need you to feed them glucose to grow. They make their energy from the first step of the normal process - but in the absence of oxygen - it is called anaerobic glycolysis. The waste product from this process of anaerobic glycolysis is a form of lactic acid, which can only be broken down by the liver. So the lactic acid passes from the cancer cell to the liver where it is broken down. And the waste product of that process is ............. glucose! This then passes back round the body to feed the cancer cell. This cycle can take over the body in cancer. Of course, as cancers grow they need more and more glucose. But dont worry. The NHS dieticians will tell you that if you are having chemotherapy, you should eat lots of calories - from fatty foods, dairy and glucose. This is to protect the seven per cent of patients that experience serious weight loss (cachexia) due to the drugs - and we couldnt possibly have drugs killing people, could we? In the defence of NHS dieticians, they are so overworked they only get time to see the people who are seriously ill from cachexia. The majority of patients have little or no problems, but still get the booklet to read! At CANCERactive we say, if you have cancer, eat glucose and sugary foods at your peril. And there is plenty of research from places such as Harvard Medical School to support our view. In 2012 Cancer Watch covered research that high fructose corn syrup could be even worse than common sugar - youll find it abundantly in fizzy soft drinks. There is some evidence that if you starve cancer cells of glucose and HFCS they can sometimes use glutamine from your cells as a reserve fuel supply, but glucose is the main food source. So, the most important rule in fighting cancer is: Cut out common sugar, chocolate, cakes, biscuits, ice cream, fizzy soft drinks, Ribena, and processed and packaged food as a start! And be warned: Healthy honey is 50 per cent glucose and fructose! Can you starve cancer of glucose? You should be trying to starve that cancer of glucose. Indeed, there is research on fasting and cancer, which induces a process called ketosis. A cancer cell needs glucose but, after fasting, little is present so it is compromised. Healthy cells can burn fats (ketosis) but cancer cells cannot. So varying results have shown anything from the death of the cancer cell, to a restriction in tumour growth. The next step up (because, according to research, 70 per cent of patients would not want to fast) is to add in quality protein (fresh fish and organic chicken) and good fats (like extra virgin olive oil, fish oils, flaxseed oil and coconut oil). This is called the Ketogenic Diet and research is being conducted for its use with brain tumours. And early results look promising. Then there is the issue of cachexia. Boston Biology Professor Seyfried confirms that fish oils can minimize the risk of cachexia, as was shown with lung cancer in research in 2012 (see Cancer Watch). A far more controversial approach follows the beliefs of an American Doctor called Joseph Gold, and a number of Russian experts, who have all recommended that cancer patients take Hydrazine Sulphate as this blocks the glucose - lactic acid - glucose cycle. This route has caused heated debate. Some people absolutely pan the use of Hydrazine Sulphate; while others get excited, claiming there is research. The fact is the research was from Russia and had limitations. We dont find the arguments convincing. While there are limited clinical trials on this cheap alternative cancer treatment, the claimed benefits have been ridiculed; plus it is nigh on impossible to obtain it!! We pass the information on; what you do with it is your business. Can you turn the mitochondria back on? Another inexpensive alternative treatment is Sodium Dichloroacetate, the sodium salt of dichloroacetate or DCA, which has been the subject of limited research studies at the University of Alberta Medical School. Again, this compound has its critics but there may be more to it. Clinical Trials have started. Researchers believe it can cause cancer cell death, by reactivating the mitochondria in cells currently using glycolysis as their energy production system. Thus the mitochondria wake up and start the cancer cell suicide process. DCA has theoretically huge potential, but needs some research to support it. We have seen, all too often, that great theories did not work out in practice. The Bottom Line - Glucose control is in your own hands! The fact is, you have your blood sugar levels in your own hands. You can cut glucose and HFCS from your diet and you can take exercise (30 minutes a day) as exercise can help control blood glucose levels. You could even fast. Memorial Sloan-Kettering wrote to us after we published our article explaining that they are seriously considering using fasting as an anti-cancer complementary therapy!r Perhaps it is no co-incidence the American Cancer Society are saying there is overwhelming research that diet and exercise can increase survival times. We think there is overwhelming evidence that people with cancer should not add sugar to their diets in the form of chocolate, cakes, fizzy soft drinks, bought smoothies, processed and packaged foods etc. And cancer patients really should read up on the Ketogenic Diet. You can read about Cachexia by CLICKING HERE. You can read more about Hydrazine Sulphate by CLICKING HERE. You can read more about Sodium Dichloroacetate and DCA by CLICKING HERE. You can read about fasting and cancer by CLICKING HERE. And read about the Ketogenic Diet by CLICKING HERE. At last - the definitive, research-based book on how to build a diet to help beat cancer. Click here to read about it.